Is it just me or has “Personal Brand” been one of the most buzzworthy blogger phrases of the year? When you return to the same blogs day after day as many of us do (I know I do) it can be easy to assume we have a pretty good idea of who the blogger is. The same can be said about some of our favorite celebrities, do you not feel as if you’re one of Taylor Swift’s besties due the silly, conversational (sometimes awkward) tone of her instagram account? In the era where social media can make or break your real life career (according to Aliza Licht, author of “Leave Your Mark”) how important is personal branding? Is it only important for celebrities to easily craft their public personas? Or is it just as vital for the “blogger-next-door” to carefully curate her social media feeds to properly represent not just who she is, but who she wants to be? Of course I have my own opinions but as I’m nowhere near a personal branding expert I thought I’d reach out to some of my favorite bloggers to share their perspectives on the matter. I am so grateful for their participation and the diversity each of their blogs bring to my feed each day. I think people sometimes expect me to be very silly and loud in person based on the way I write in my blog, but I’m actually the quiet person in the corner observing. Or I’m the person talking to the animals at the party. eeek. I don’t know. probably not. Unless “all over the place” is a congruent brand. From day one my blog has been a mess. Like me, it changes direction daily. My fiance tells me that blogger Nicole can be a little bit sassier than real life Nicole. Like everyone behind a screen, it’s easier for me to say things to 3 billion people online than it would be if I was in front of 3 billion human people with human eyes looking at me. That being said, I’ve met two bloggers in real life now and both told me that I am pretty much exactly how they imagined I’d be based on my blog. So I think my online persona is a lot like “real life” Nicole, just with a little more courage. I have a hard time (the polite way of saying I don’t try hard enough) creating an exclusive “Just the Elevator Pitch” online presence; most of my social media (Twitter and Instagram) is a mix between a personal account and a “blogger account.” So I’d say my “brand” is consistent across all social media only if you consider me, Nicole, personally a brand. I by no means think that this is the most productive or direct way of becoming a “big time” blogger, but that’s not an immediate goal for me at the moment so this real life/blog life hybrid approach is working fine for the time being. Honestly, when I started blogging 3+ years ago, I had no idea this whole blogging world existed so I didn’t know that I’d ever be expected to have a brand. I really admire the bloggers who have developed such a professional yet realistic/fun “internet brand” (e.g., Sarah from Venus Trapped in Mars, who is my inspiration for everything blog) and hope that one day I can organize myself enough to get to that point. For now though, I am still very much pupil rather than teacher, which is why I’m so flattered that Jordyn even asked for my opinion! My blog is “my little corner of the web” where I share my personal fashion and fashion inspirations, as well as tidbits from my personal life, faith and travels. And all fashion and travel posts on my blog have a big focus on affordability! ^Rereading that- that is totally not 3-5 words- HA. #Fail. Okay- 3-5 words for my brand of personal style would be: Girly, glam, affordable, bright and fun. This is a GREAT question! Being 100% honest, I think that I can sometimes be a lot more negative/stressed out in person than I am online. I suffered from pretty severe anxiety in high school, and still get bouts of it from time to time now (I also had a bit of depression for part of high school). So negativity is something that I’ve always had to battle in my life, and it can come back for me easily. Blogging has always been a source of comfort and happiness for me, so naturally my blog posts usually tend to be about happier, lighter subjects! In my real life, I’m almost always quite stressed or frazzled over something little (something I’m trying to work on!). YES actually! The image that I think defines my blog brand actually doesn’t come from a blogger at all. It’s the print ad for the Lancome perfume, La Vie est Belle (Actress Julia Roberts is who is in the ad). She is absolutely glowing and radiant, and the way that she smiles at the camera exudes confidence, beauty, fun, and grace. That is exactly what I wish I looked like in all my blog photos! My brand was definitely established over time. When I started Southern Belle in Training, it was about 75% a college lifestyle blog, and only maybe only 25% fashion. Over the past three years (SBIT turns three in September! ), it has become a primarily fashion and personal style blog, with lifestyle posts thrown in. That was a big shift to make! I definitely did it very gradually. Sometimes I wished that I had gone through the process more quickly- had I done so, maybe I would have gotten more opportunities by now for my blog. But everything happens for a reason! I think that my brand really felt solidified this past February when I re-branded to my post current blog design- the whole process took over two months to complete! A classy kind of sassy. My persona is almost exactly the same online and offline. However, I choose not to associate my real name with my blog for professional reasons. People in my life know it’s me, and I love their support, but when someone googles me, I would rather have my LinkedIn profile pop up, and not a silly photo of me in a face mask. I had an anonymous Twitter account for over a year before I started blogging. I saw which tweets people really responded to, so what I started writing, I took that into consideration. I work in Marketing, but I only took one Marketing class in undergrad. I spent a lot of time doing research to make me better at my job, and that information carried over to blogging. My first boss is a branding expert, and I learned so much from working for her for two years. I think that my blog has always had the same “brand framework,” but as my life evolves, it will evolve. Right now, I’m really focused on my career and navigating the post-grad world, and my posts reflect that. I honestly don’t think I have. I’ve just focused on making my blog strong, and things like instagram and twitter kind of come in second place to that. It’s something I need to work on for sure! I definitely didn’t have one from the beginning. The biggest change that my blog has undergone since the beginning is that it’s become more authentic. When I first started, I thought every post had to have a catchy title and mimic something found in a magazine. Over time, I realized I wanted my blog to be authentic, a mix of catchy titles and real-life posts. I started making decisions based on what I liked rather than what was trendy, and I think that’s helped me find a niche that fits me perfectly. I would say I’m very similar in my real life to how I am online. All of my family & friends always say my blog is very ‘me’ because I’ve always loved the topics I discuss & my branding really reflects my personality. I’ve always been into a very feminine, pretty aesthetic & I try to let that show through with my blog & branding. The only but difference I would say is I am much more sarcastic in ‘real life’ then I am on my blog because I feel like sarcasm doesn’t always come across in writing as it does in person so I definitely tone that down a bit. I try to use the same images, colors, logos, names, & even descriptions across all forms of social media. I like this because it makes it easier for people to see my accounts & know they’re mine. I also think it gives it a nice flow when everything matches with one another & in my opinion it makes it look more professional. I’m not a big quote person, but definitely girly & feminine images helped to inspire my branding. Also I love Lauren Conrad’s aesthetic so that has definitely influenced me. It’s not so much one specific thing as much as seeing different images or styles I like, using them as inspiration & then putting my own spin on it. If so what contributed to your decision. : Since I started my blog it has definitely evolved a lot. Initially I wanted my blog to be about fashion, beauty, crafting, & baking, but it has really transformed into a lifestyle blog with heavy influences from fashion & beauty. I recently changed my blog’s branding (name, design, etc.) in order to reflect what my blog has become. I would say that my branding is more in line with my blog now then it ever has been & I like that I was able to establish it over time & grow it along with my blog. My blog’s brand is living your best life. In real life I think I’m louder. I know I cna’t be “loud” on the blog but in the blog I don’t always speak my mind exactly as I would in real life. I try to smile and move on and I don’t necessarily do that in real life. If I’m mad or upset about something, you’ll know it. When I first started blogging I was all over the place. Now, I notice that when I keep a similar feel across all platforms, people not only appreciate that but want to follow me. I usually look to my Pinterest boards when I need inspiration. One thing that really keeps me going when I’m down is “There are only two options: make progress or make excuses.” I love this because I often compare my blog to others. That’s doing me no good. I need to move on and make my blog the best it can be, my own way. It’s never going to look like their blog because I’m not them! This definitely happened over time. This was a good thing. I thought my blog was going in one direction and I was wrong, it was going in another. I’m happy that I took the time to carve out a different niche from what I expected. Whimsical, feminine, nature-inspired & (hopefully) refreshingly genuine. I’ve been told that my blog reads the way I speak by many of my friends and I really love that. I do think I am different in person than on my blog, though unintentionally. I mention it on my blog all the time but I hate meeting strangers, in person I’m not at all eloquent, my voice shakes when I have to give a speech and I say “like” far too much. I’m pigeon toed and I have the slightest lisp. My blog (and social media) represent a curated version of who I am, so even though I do address sadness and pain I don’t address everything (good or bad). I’ve really been working on this aspect of personal branding over the past few months. I used to post on each social media outlet separately. I would post blurry photos on instagram after a night out with friends, fashion related photos on my blog and then photos with my family and friends on Facebook. I do think each space should be different and offer separate glimpses into your life or brand but I have tried to convey the same message. To me it’s all about curating photos, quotes and posts that evoke the same emotions. I really believe in experiencing every feeling good or bad. I believe our emotions, though intangible, are the most real experiences we can encounter. I believe all emotions are worth capturing. If you can articulate the emotions that are part of the human experience universally I think your words will really resonate with people. It’s my goal to learn to articulate real human emotion in an authentic way readers can relate to. Looking back at my first blog posts (really the whole first year) I cringe. I was horrible at proofreading, I had no real direction for my blog and each post just sort of rambled on. I know I could go back and edit my old blog posts to make them relevant but since this space is sort of like a journal for me I don’t want to, I’m sentimental about keeping everything in this space authentic and pure to what it originally was. Over time The Fairy Princess Diaries has evolved as I’ve become more confident in my voice as a writer as well as my interests. It sounds silly but I really want to capture the qualities I imagine a “real” Fairy Princess would encompass. To me a princess is feminine, and kind and gracious and confident. She sees the good in people and the world even in the darkest times. A fairy is inspired by nature, by the way the leaves sound blowing in the wind and can be moved to tears when the cherry blossoms die at the end of Spring. I try to capture that spirit here. I really enjoyed reading these girls’ responses and I hope you did too! Seriously the women I featured are some of my all time favorite bloggers, they all remind me of little rays of sunshine, truly! Now I want to hear your thoughts on personal branding (whether you’re a blogger or not). How does your life differ in actuality from the life you present on social media? Do you believe personal branding is important in our technological age? Do you omit certain aspects of your life from your blog or social channels? Do you think people who know only the “online you” would be surprised in any ways by the “real life” you? I’m so anxious to read your responses! Have a great weekend my darlings! Aww this was such a fun read. You’re right “personal brand” has been the world of 2015 — at least in the blogging world. It’s good to know where you stand if you are trying to make your blog more than just a hobby. I absolutely love this! So much great advice! This was so fun to read! Super insightful and great questions for bloggers to keep in mind all the time. I loved reading this! everyones insights are so so cool! thanks so much for letting me be a part of it! This is a killer post. I love reading about each blogger and their take on their brand. I am so new to blogging, this is probably something I should put more thought into for my blog. I definitely believe that personal branding is important in real life too and think I do a better job there for sure! Still trying to figure out my personal brand! Loved reading everyone else’s! LOVED reading this! 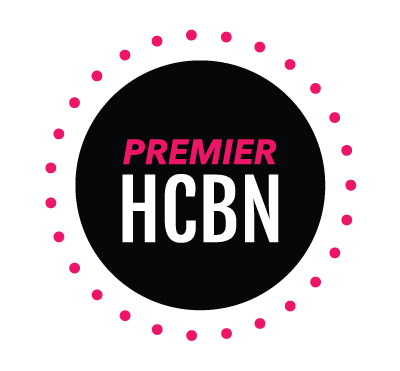 Personal branding is so important and it was so fun to see so many members of the MBN featured! Fabulous post!! What a fun way to inspire people to blog! I also LOVE Seersucker Sass aka Dana!! I’m so honored again that you featured me in such a wonderful post!! This was such a great read- I definitely got a lot out of reading everyone’s answers! Branding is something that I feel like is a constant growth process!!! Such a fun read, loved it! I’m a huge fan of personal branding and I love reading about the bloggers behind the blogs! I loved the interviews from lots of different bloggers! I’m still very new to blogging, so I’m still trying to figure it all out. I’m not sure if there are enough posts for someone to know me yet! I think I come off pretty genuine, however, and I think generally people wouldn’t be too surprised if they met me in person! I try to be as ‘me’ as possible on my blog but I write so much more easily than I talk (which I why I started blogging in the first place) so I come across a bit sharper and wittier in my blog than I am in real life! This is a wonderful post and it was great to get an insight into how blogger feel about personal branding! Awesome post! I love all of these ladies. And branding is my nerd-out thing, so I’m obsessed with that, too! It’s so important to at least figure OUT your personal brand and make sure that what you want to be coming across is actually coming across. And I always think it’s cool when people choose to NOT have their personal brand be congruent with their online brand…when people separate the two clearly. It’s so fun! I definitely agree with Tay! I probably seem outgoing and forward on my blog – but I’m the exact opposite! I was on the road yesterday so I just read this now. again, I really, really appreciate you thinking of me when writing this post and I loved reading what the other girls had to say. so many different perspectives and personalities! Oh my goodness. I love so many of these bloggers (including you, duh), so I just loved this post so much. What awesome advice! I feel like personal branding has been a struggle with me for my blog because I keep changing personally, and my blog changes with me. I love that Taylor said she’s the person talking to the animals at the party, because that’s totally me too! I think it’s interesting that people expect you to have a certain personality type based on the way and the things that you write, but she brings up an interesting point. People can be totally different on paper (or on screen) than they are in real life. I also love what Chelsea said about her brand and niche. I didn’t have a niche at the beginning either, and like her, I feel like my blog has definitely become more authentic. I feel like I’m always competing with other bloggers, but I don’t need to think like that. I just need to be genuine and be me, because that’s what people want to read. Just loving all the advice in this post! This post is just filled with some awesome advice and words of wisdom. I adore so many of the bloggers here (including you, duh). I love what Taylor said about how people expect her to be one way in real life because of the way that she writes. I think people can definitely be so different on paper compared to how they are in person. I’m not sure whether I am or not, now that I think about it. Like her, I’m also that person at the party who’s playing with the animals. Glad I’m not alone in that. I also love what Chelsea said about her brand/niche. Like her, I think my writing has become so much more authentic than it had been at the beginning. I’ve always found it hard to define my niche because I feel like I keep changing, and my blog changes with me, so I just write about the things I love during that time. What a wonderful collection of bloggers. I love their variety of advice. I think we all filter a little bit online, at least in our published piece right? Sometimes the first is a little rough around the edges. Thank you for putting this together. I absolutely loved this post! I’m so intrigued by branding, and I loved getting to read everyone’s thoughts about their brand. Thanks so much for including me in this, love!! This is such a fantastic resource! Personal branding is so important and I loved hearing from all these ladies. Love this post. Such great ideas and I found some new blogs to read! This is so cute! I love learning about how other bloggers develop their personal brand, and I’m so happy I have a few new blogs to add to my reading list! This is really great! Thanks so much for sharing!